Cars are difficult to keep looking as shiny and new as when you first bought them as scratches can appear all the time. These scratches can drastically lower the value of your car and its sellability. You probably find minor scratches quite frequently and not even know what caused them. Some of the most common causes of minor scratches come from bushes, freshly gravelled or paved roads, and using a dirty sponge or cloth when cleaning your car. Scratches like these are the easiest to take care of so shouldn’t take a garage, such as AP Autocare, very long to remove. For more information about any of our car services Bristol, contact us on 0117 963 8916. 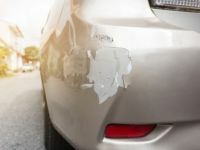 If you have a more noticeable scratch that has broken through the paintwork to reveal the metal underneath, then it is important that you do not leave this unattended for a long time. Exposed metal will gradually begin to rust which will deteriorate the structural integrity of the metal and make your vehicle unsafe. In this event, you will likely need a full or partial respray. These are more complicated than you might think so it is important that you choose a reputable garage to trust your car with. A cheap respray usually means quick and fast which cannot be done with car painting. Buying cheap usually means buying twice. It takes a lot of groundwork, time and effort as well as top quality resources such as paint primer and a topcoat. AP Autocare has the professional amenities like a spray booth to make certain that any vehicle which comes into our garage, leaves looking of the same quality, or even better, than when it left the manufacturer, with the best possible vehicle respray to be found in Bristol. At AP Autocare, our professionals have experience in car scratch repair since we opened in Bristol in 1976. You can trust us to accurately evaluate your paint damage and provide you with the best method to repair the scratch. We are honest which is shown by our loyal customers in the Bristol area. Sometimes our cars may be damaged a little bit more than just a scratch. 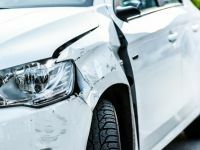 Whether your car has bumped a wall, lamp post, or another car, the team at AP Autocare can help. It requires credited industry professionals to solve structural damages in order to make sure the car is structurally sound and safe to drive. An all-inclusive check is performed to ensure any safety features on the car have not been compromised by the dent. We have the best tools and latest techniques to fix your dent to our usual high standards. If your car needs our dent removal service, bring it to our garage today for a free, no obligation quote. AP Autocare is proud to be part of the Good Garage Scheme, which is an award given to garages that continually uphold a high standard of customer service. This guarantees great value for money because you are going to get a professional job. Our technicians are all from dealer backgrounds trained to the highest of levels. Due to this, we have grown to become one of the most reputable independent city centre MOT and Service centres in Bristol. We have an in-house body shop for carrying out small to large bodywork repairs, from small scuffs and scrapes to accident repairs, wheel refurbs or classic vehicle restoration. We’ll keep you informed of our progress and the cost (we can save you up to 30% compared to main dealer prices). If you do not believe us, pop in with your car and we can give you a free no obligation quote. We also have pick up/drop off services and courtesy cars available to make your car scratch repair as quick and easy as possible. All our work is covered by a 12 Month labour and parts Warranty. Our highly experienced team at AP Autocare are trained to perform high-quality scratch repair and dent removal on vehicles in and around the Bristol area. Visit our garage today for a scratch repair/dent removal evaluation or call us on 0117 963 8916.